Humans have long been interested in developing space colonies, and lately, that’s starting to actually look possible. Silicon Valley giant Elon Musk is one of many tech-industry executives interested in making the leap to other planets. "History is going to bifurcate along two directions,” Musk said in his recent SpaceX speech about the company's plans to send crewed missions to Mars. "One path is we stay on Earth forever, and eventually there will some extinction event. The alternative is to become a space-faring civilization and a multi-planet species." Whether humanity’s time on Earth is limited by our own bad choices or natural destruction, Musk plans to get to Mars within the next few decades: He optimistically envisions tourists heading to the red planet in the next 20 years, and building a city there with a population of a million by the 2060s. This may sound great for humans, but what about the Martians? The word Martians summons mental images of H.G. Wells's gloppy octopi or Bradbury’s golden-skinned humanoids, but the most likely potential life on Mars is microorganisms. While we haven’t yet found any life on Mars, NASA’s Mars Reconnaissance Orbiter did find evidence of liquid water there, one of the most basic requirements for life. And while conditions on the red planet are incredibly harsh, there are similar places on Earth—inside super-hot geysers, deep in ocean vents, and under frozen-solid ice caps—where life has been found in recent years. “[Microorganisms] are known to thrive in any biotope on Earth, no matter how ‘extreme’ the biotope is. They can withstand high doses of radiation, desiccation, and survive extended periods of starvation,” Alex Probst, a microbiologist at University of California, Berkeley, tells mental_floss. Probst has worked with NASA for almost a decade. NASA already knows that given the opportunity, microscopic Earth life could thrive on Mars: “We test Earth microbes for growth in simulated conditions … there are many Earth microbes that can grow in Mars surface conditions, if protected from UV light (sunburn) and they have enough water and nutrients,” Catharine Conley, the Planetary Protection Officer for NASA, tells mental_floss. If microorganisms were to be found in one of these special regions, or anywhere on Mars, it would be a huge deal. But the very possibility raises the important issue of keeping Earthling hitchhikers out. We know how problematic (and in some cases, disastrous) invasive species on Earth have been: What would happen to life on Mars if it’s overwhelmed or outcompeted by microbes from Earth before we even have a chance to study it? These are serious enough considerations that NASA has a department dedicated to the issue of contamination, and developing protocols to deal with it. Known as The Office of Planetary Protection (OPP), the headquarters has a whole set of policies for vehicles headed to Mars, including definitions for levels of protection. For example, landers and probes going to Mars but not returning to Earth are category IV, which means they are completely decontaminated before they head out into space. The Curiosity rover, which landed on Mars in 2014, was assigned a level IV designation: It was assembled in a clean room, and parts that could be baked at high temperatures were. Missions that will travel to the “special regions” are classified at level IV(a-c), even higher levels of caution. 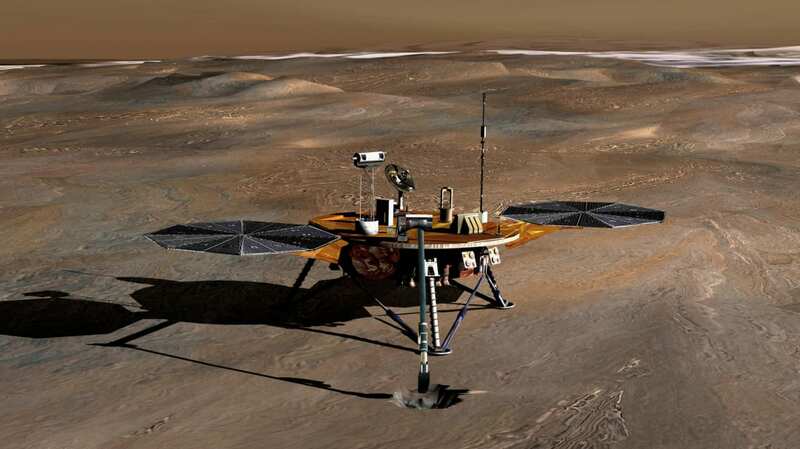 Mars missions where equipment will need to be decontaminated before returning to Earth to prevent bringing anything alien home are categorized at the highest level: V, which so far is theoretical. All this caution isn’t just to protect creatures only microbiologists could get excited about. “Mars is an environment to which Earth organisms have never been exposed, over the entire known course of our evolution,” says Conley. “Anything that we find out about [these Martian organisms] will tell us about ourselves, and what are the possibilities for living elsewhere,” says Conley. The value of Martian life is hard to nail down, but NASA takes the tack that it’s a good idea to minimize our impact so that we can find out. “The focus of planetary protection is to make sure …the next robotic mission to Mars doesn't bring something along that might cause problems later,” says Conley. The scale of Musk’s humans-on-Mars plan is such that some think contamination of the red planet is inevitable. “We have more microbial cells on our body than human cells, so if we go to Mars, so will microbes. And they will spread easily and fast just like on Earth,” says Probst. But like colonizers past, Musk and SpaceX don’t seem concerned about their impact on the places they’re exploring; as Musk said on The Late Show With Steven Colbert in 2015, he’d nuke the red planet’s poles to make it warmer and begin terraforming Mars to make it more habitable for humans. Moreover, if Musk’s plans succeed, there’s also Earth to worry about. Musk insists that going to Mars shouldn’t have to be a one-way journey, which begs another question: Is there any danger to Earth from the potential life on Mars? Under NASA’s current rules, all of the rocket launchers, fuel tankers, and ships people would travel in would need to be decontaminated before returning to Earth. “We don't know anything about Mars organisms. If they're related to us, then we could exchange DNA with unpredictable consequences; and whether or not they're related to us, they might find parts of the Earth really pleasant to invade,” says Conley. As private exploration of the solar system expands, these are important questions to keep in mind. NASA’s approach is fundamentally different from Musk’s: “We are committed to exploration of the solar system in a way that protects explored environments as they exist in their natural state,” the agency wrote in a statement following Musk’s statements on Colbert. Considering that SpaceX and NASA will be working together to get us to Mars, we’ll see in coming years whose ideas prevail.